Win Starbucks For Life! 900,000 Winners! You are here: Home / FREEbies / Win Starbucks For Life! 900,000 Winners! 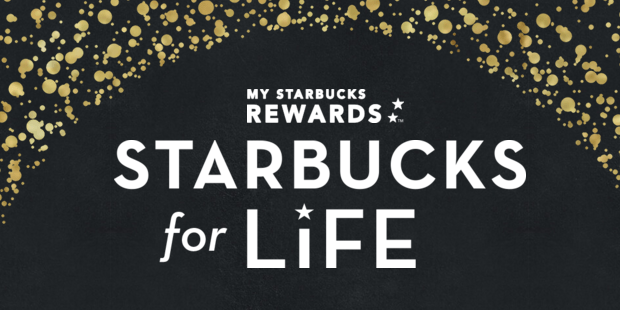 Now through January 11th, head over to Starbucks For Life for a chance to win 1 of 900,000 prizes! Just log into your Starbucks Rewards account, scroll to the very bottom of the page, click the tiny line: “To enter without making a purchase, click here link”, fill out the required information and you’ll snag a code via email to enter the Starbucks For Life Giveaway. You can enter twice daily! 500 Third Prize winners will win Starbucks for a Week – a daily credit for 7 days of one FREE Starbucks food or beverage item ($31.50 value! ).